In 1988 Israel joined aerospace aristocracy when the lift-off of a vehicle for releasing small satellites into orbit made it the eighth nation on Earth to achieve space launch capability. Now, a group of TAU graduates working at SpaceIL are harnessing Israel’s scientific and technological achievement to land Israel’s first unmanned spacecraft on the moon. “Our goal is to make Israel the fourth country – after superpowers US, Russia and China – to achieve this historical milestone,” says TAU alumnus Yariv Bash, an electronics and computer engineer who is co-founder of SpaceIL, a non-profit organization housed on the TAU campus. 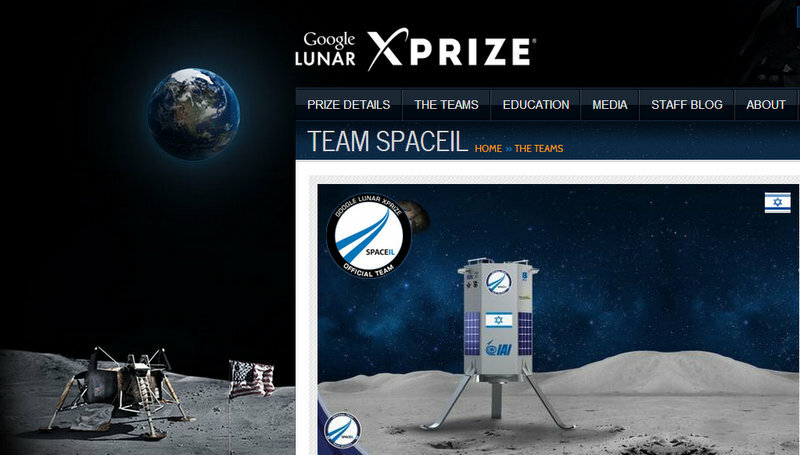 The project is vying for the Google Lunar X Prize, a worldwide competition sponsored by the Google Corporation and involving a 20 million dollar cash award to the winner. But for Bash and his team – which includes some 35 TAU graduates – it’s not about the money. It’s about boldly going where no Israeli has gone before. To win the Google prize, SpaceIL must be the first to land its spacecraft on the surface of the Moon, travel 500 meters above, below or on the lunar surface, and send live video transmissions back to Earth, all by the end of 2015. The mission is formidable, but Bash is optimistic: “Based on Israel’s space-proven satellite technology, as well as its leadership in nanotechnology and high tech, I believe we have an excellent chance of getting there first,” he says. While many competing teams represent private companies, SpaceIL is strictly a not-for-profit endeavor. “We have 17 full-time employees and advisors, as well as 260 volunteers who come in at odd hours, keeping the project running day and night, and even over the weekends,” says Bash. He adds that the SpaceIL management is always on the look-out for additional funding to round out the limited sponsorship they receive from Tel Aviv University and other organizations. Bash, who completed his undergraduate degree in electrical and electronics engineering at TAU, worked in government before the SpaceIL venture took off. He is no stranger to team building; in his spare time, he directs Machanet – a yearly invitation-only event where, over three sleepless days, talented young people brainstorm about cutting-edge technologies. Still, as SpaceIL advanced past the planning stage, it became clear that the race to the finish line would require the help of a manager with a head for science. Bash and his colleagues hired Dr. Eran Privman, an expert in computer science and neuroscience who received his PhD jointly from TAU’s Blavatnik School of Computer Science and the Weizmann Institute. Privman directed projects in the past as a combat pilot and R&D manager in the Israeli Air Force, in various positions in high tech and venture capital, and as a member of his home town’s city council. “SpaceIL is by far the most complex project I’ve ever handled,” says Privman. “On the one hand, most of the team members are volunteers – no one has a moon landing on their resume! – and on the other hand, we’re also working with very limited resources. But the talent and motivation is sky high. That’s what, I believe, will allow us to win this competition,” he adds. While they dream of that much-anticipated trip to the sky, the SpaceIL team is promoting the project as a source of inspiration on Earth – both in Israel and around the world. “Back in the 1960s, the Apollo moon landing had an amazing impact, turning scientists into cultural heroes and inspiring a generation of students to study math, science and engineering. This is called the ‘the Apollo effect,’” says Privman. 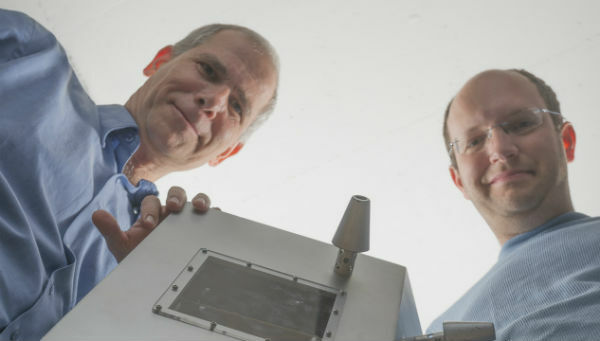 “With SpaceIL, we’re not waiting for the landing to take place before we get the word out. Through our lectures and workshops, we’ve already reached 40,000 Israeli schoolchildren, and we’ve started working with an American NGO (the iCenter) to bring word of what we’re doing to Jewish children in the United States,” says Bash. “Not only is this a great way to connect Jews all over the world with Israel in a the context of a positive image, we’re also breaking the ‘glass ceiling’ in terms of science and education. We’re saying: ‘look at what we’re doing – this could be you!’ If even two or three percent of the kids we reach take up the challenge, we’ll have accomplished far more than just a trip to the moon,” Bash concludes.